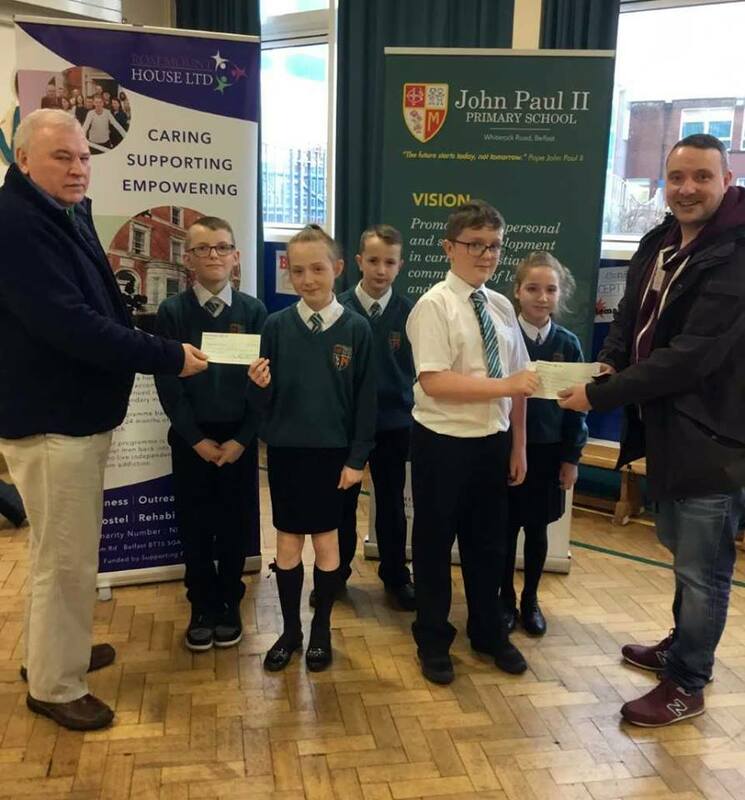 On Wednesday, 14th March 2018, Cormac McArt of the Westcourt Centre and Charlie McGarry of Rosemount House visited John-Paul II Primary School in West Belfast to talk to members of the Student Council about the work of Rosemount. The school presented two cheques, each for £500, to support Rosemount and Westcourt. to staff, pupils and families for such a generous donation.